Mini sets such as tooth brush, shaving etc. were perfect! We liked also room size and cleanliness. Excellent location, the apartment was lovely, very clean and the staff were very friendly and helpful. Could not have asked for more. We would definitely stay here again. Perfect location for the old town, in an amazing apartment of high quality, for a brilliant price. The whole style, comfort and cleanliness, layout and location of the apartment (within close walking distance of all of the Old Town and Picasso’s House) was perfect. The bathroom was fantastic. Paula was waiting for us on arrival and was so friendly and helpful. She gave us lots of local information about great restautants (El Pimpi’s food was excellent) and places of interest, provided maps and showed us around the apartment, explaining how things worked. There were many great bars and restaurants in the next street (Plaza de la Merced). She also gave us her personal contact details. 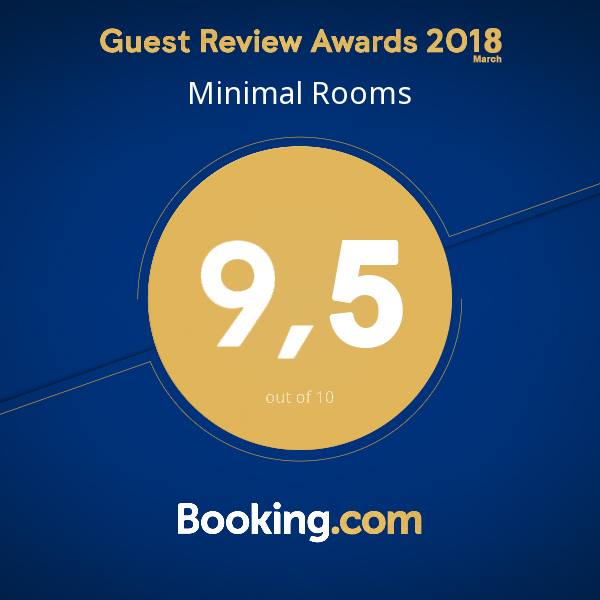 We would highly recommend Minimal Rooms and will stay here again.